Naman Pranamasana is also called Prostration Posture. The word ‘Naman’ means ‘to bow’ and ‘Pranam’ means either ‘to greet’ or ‘compliment’ and the word ‘asana’ means ‘posture’. This asana is one of the forward bend inversion and gives many of the benefits of Sirshasana but to a lesser extent. The asana help in relieving practitioner from many psychological disturbances. 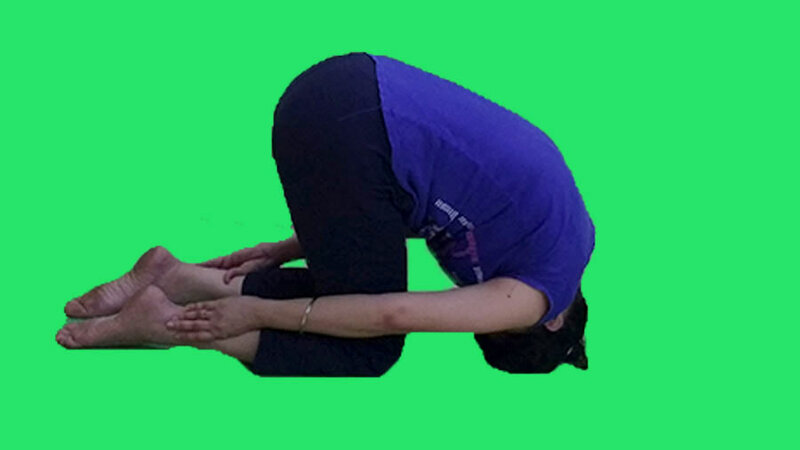 The asana strengthens the neck muscles and prepares the practitioner for Sirshasana. Spread a Yoga Mat and sit on it in Vajrasana. Hold your lower calves just above the ankles keeping the thumbs uppermost. Exhale, slowly bend forward and place the crown of the head on the ground in front of the knees. Inhale and raise the buttocks. Allow the chin to press against the chest and let the thighs become almost vertical to the floor. Remain in the final position for 15 to 20 seconds, breathing normally. For returning back to initial position, exhale and lower the buttocks to the heels to assume Hare Pose (Shashankasana). Inhale and raise the torso upright and return to Thunderbolt Pose (Vajrasana). Practice this asana 2 to 3 times. Naman Pranamasana should not be performed by people suffering from vertigo, weak neck or high blood pressure. 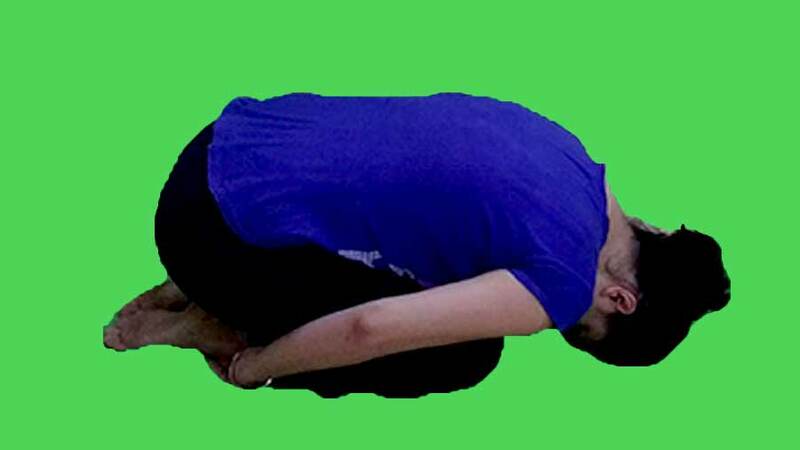 It can be used as a preparatory practice for Sirshasana. Naman Pranamasana strengthens the neck muscles. The asana help in relieving practitioner from anxiety and stress. The Naman Pranamasana also improves the sense of balance. This asana revitalizes the body and mind. The asana relieves the practitioner from asthma. Naman Pranamasana also helps to rectify many forms of the nervous and glandular disorder. The asana induces physical and mental relaxation. This asana is a forward bend pose and can be best followed by backward bend Poses like Ustrasana, Supt Vajrasana or Bhujangasana.